Media and tech startup Culture Trip is officially launching its app today. 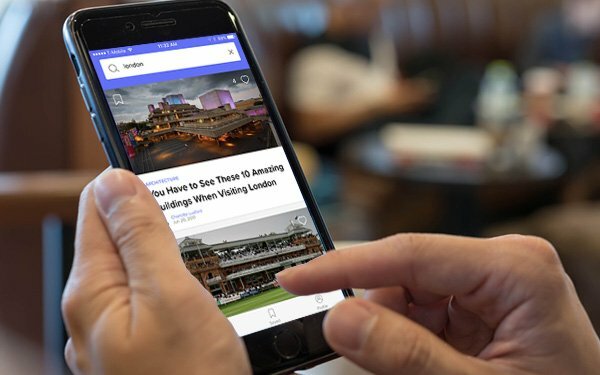 A streamlined version of the site, the Culture Trip app features advice and recommendations for more than 300 locations worldwide, provided by its team of in-house journalists and a network of local freelancers. “On social, there is a particular itch for people who want to get inspired by destinations and locations," he said. Naudts, who is a former academic psychiatrist, often had to travel for work. He found it difficult to find a book of fiction about the country he was visiting. “The world has gotten very diverse, and it didn’t make sense that bookshelves hadn’t followed where society had gone. The media is biased toward Western, Anglo-Saxon stuff. We want to celebrate local culture. We have an international and diverse workforce,” he said. Culture Trip has about 300 people working for it, including a large contributor community and a 10-person social-media team. It has offices in New York, London and Tel Aviv. The launch of the app was inspired by Culture Trip’s success on social media. Within the last six months, the company has experienced triple-digit growth across its social-media channels. Culture Trip now has 2.6 million followers on Facebook and reaches 270 million users, delivering 1 billion impressions in May. Nearly 7.5 million people visit Culture Trip’s site each month. Total social following across Pinterest, Facebook, Instagram and Twitter is just over 3 million people. “The audience on our social channels skyrocketed when we began to cover local secrets. Our fans really engage when we empower them to discover different worlds and cultures. We want to deliver that same experience with our app,” Naudts stated. The beta version of the app had around 340,000 downloads. The app is similar to the site in that it has an "Explore Your World" section dedicated to travel inspiration. It also houses a section devoted to the user's current city, with verticals in that area, such as "See & Do," "Guides & Tips," "Food & Drink," "Art" and "Film & TV." Using artificial intelligence, the app gradually learns from each user and gives recommendations based on their personal preferences, interests or travel dates. Culture Trip has landed a few sponsored campaigns, with Norwegian Air and the Hamburg Tourist Board. The brand also makes a cut from affiliated links in its articles. For example, Culture Trip takes a commission if a reader books a hostel from a link featured in one of its listicles. The site has more than 40,000 articles, with stories ranging from the most Instagrammable dishes in Beijing to a list of films to watch before a visit to Belgium. Going forward, Naudts hopes to use the $20 million Series A funding it secured in October to expand into China, invest in artificial intelligence and virtual reality, and produce more long-form content and video. Culture Trip has a team of engineers based in Tel Aviv. Naudts added the "key element" of AI is data science. Culture Trip is "seriously expanding that team to help editorial and social operations," in addition to search and personal recommendation technology. "We are finding that kind of nexus where creators, content creators and the machine can intersect," he said.